Welcome to the start of an animal race, that does not have a clear favorite. Why? Because all the contenders are new. At least partially. 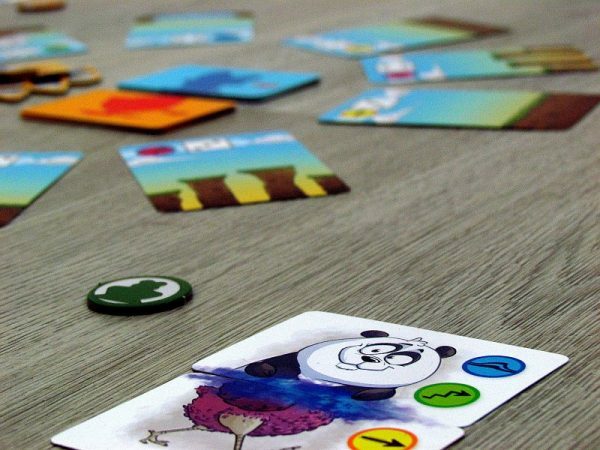 There is a pengaroo, cowox, fonkey and modonkey. Maybe you think you’re somewhere on a different planet. What are the animals, that you know? And which one is best to bet on winning? Believe it or not, we are still on Earth, only help of a magic powder allowed us to crossbreed animals. So we see the top of the penguin, but its short legs are replaced by strong kangaroo jumpers, fox body with rabbit head and much more. 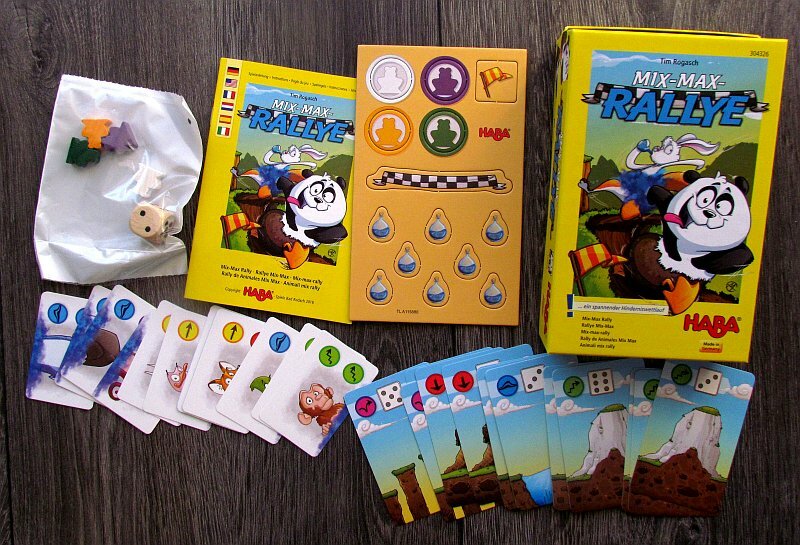 To start with animal combinations and take advantage of each of them, we have to open box called Mix-Max Rallye, containing card game designed by Tim Rogasch. He entrusted his work to the illustrator Mark Blaha. 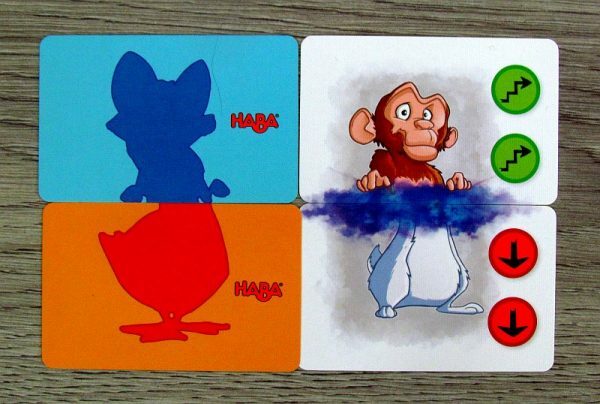 And this game was released by HABA for 2018. All the fun is hidden in a small yellow box, on whose lid we can see a few strangely looking animals. This is, because the panda at the head of the sprint has duck legs. 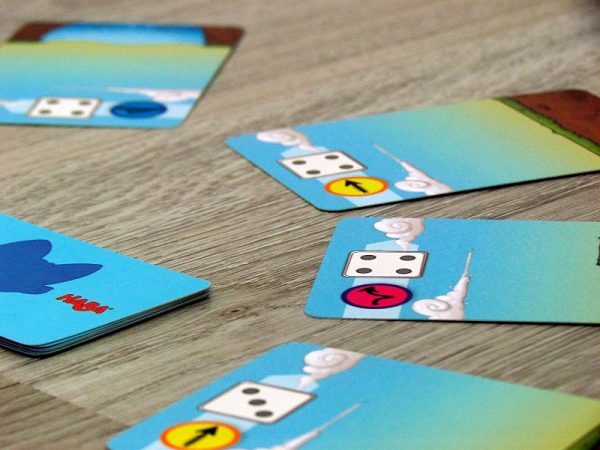 From the inside, however, players will catch big cards of the route, which have to be mixed and randomly spread in a circle – ten of them. 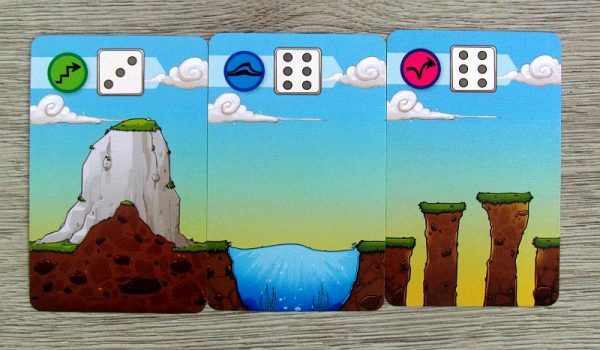 Between any two of these cards, players place a cardboard tile marking the start and finish. 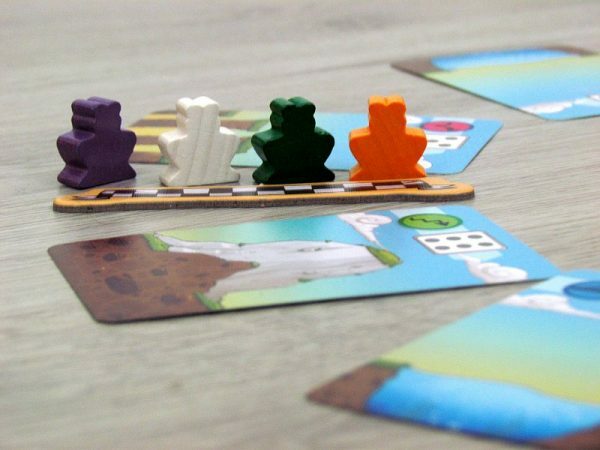 Each player then chooses his color, puts the corresponding token in front of him, but primarily places his piece on the starting line. 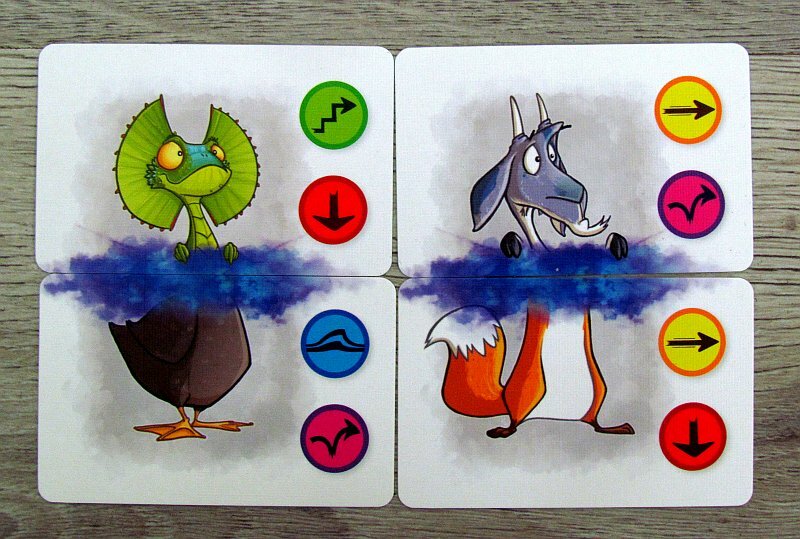 From the shuffled deck of top and bottom body parts, each player gets a pair of cards and thus creates his own, unique pet. 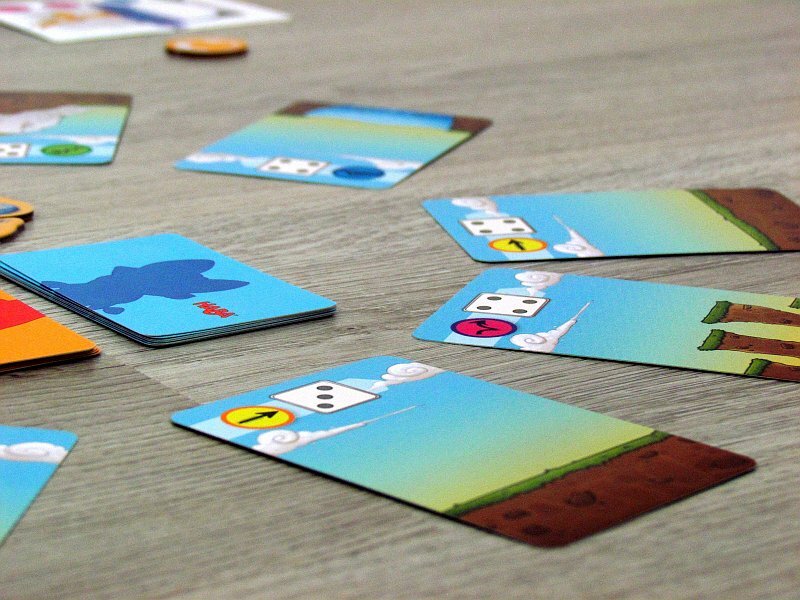 Each of the two smaller cards offers some icons, that will be useful to overcome racing obstacles during the run. Players then alternate in turn in an effort to skip the obstacle ahead of them. 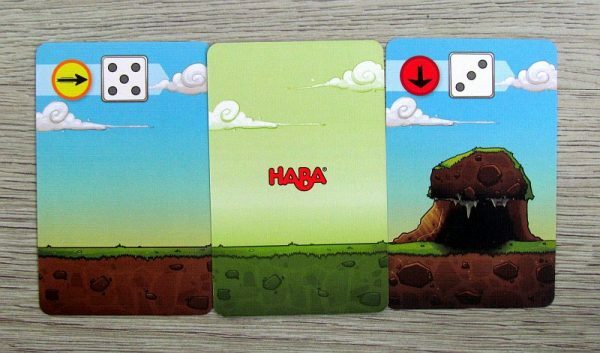 Therefore, player has to roll a dice and try to make the result higher, than the required part of the line. However, even if the rolled value is lower, there is still a chance – for each icon of the obstacle card, that matches player‘s animal icons, he can add one to the result. But if the player does not succeed in jump, he stays in place. Instead, he can now change one or the other part of his animal, hoping for a better succes and planning for upcoming obstacles. He simply draws a random card from the corresponding deck and exchanges it. Once one of the racers arrives at the finish, they have to complete the round, so that they all have the same number of turns and therefore the same chance on winning. Anyone, who is after the last round at the finish (and maybe more racers) become the winner. Mix-Max Rally is really the easiest racing game possible. 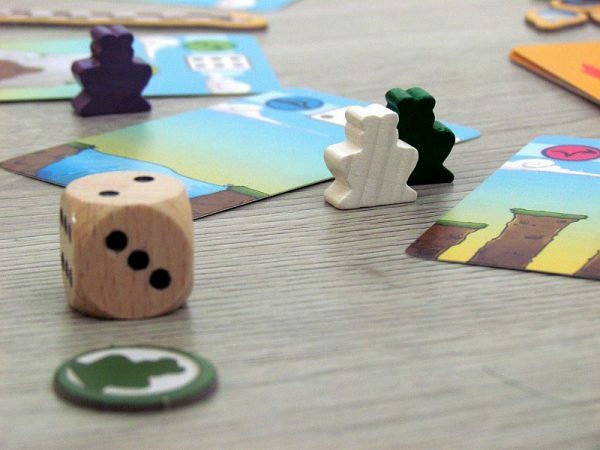 As they run, players will have to rely on the dice roll results. In doing so, they can at least partially influence the outcomes and therefore their chances, but never too targeted. 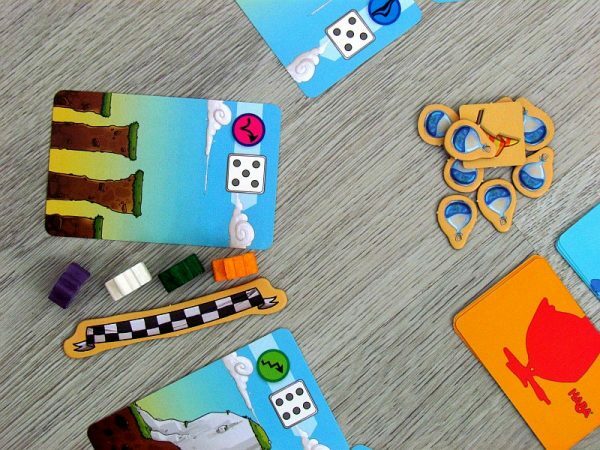 Even the composition of the track itself is random and so while one obstacle will be good for player, another will be difficult. He can of course replace a part of the animal. 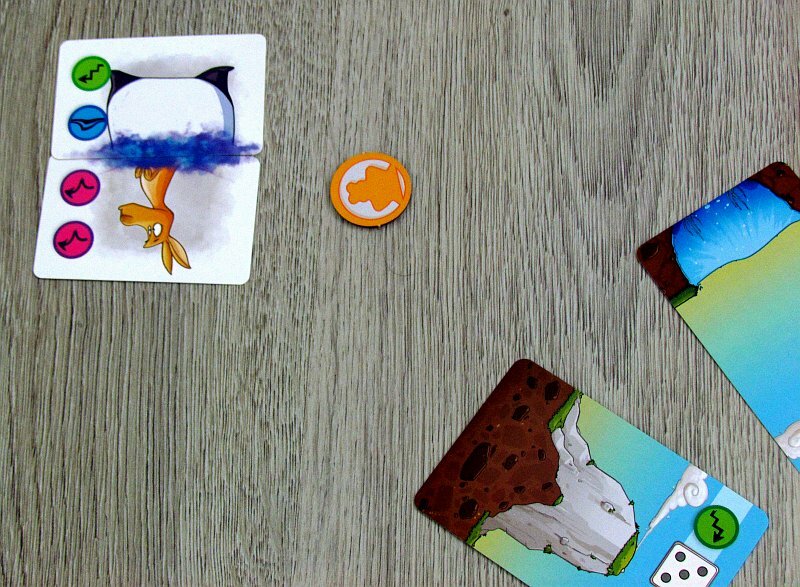 But again, he gives up to the luck, when drawing a new card. This is simply a game, in which too much justice can not be sought. But it also corresponds to its focus on five-year-olds, who have not yet joined school. Here, counting, dice and a few rules are enough. 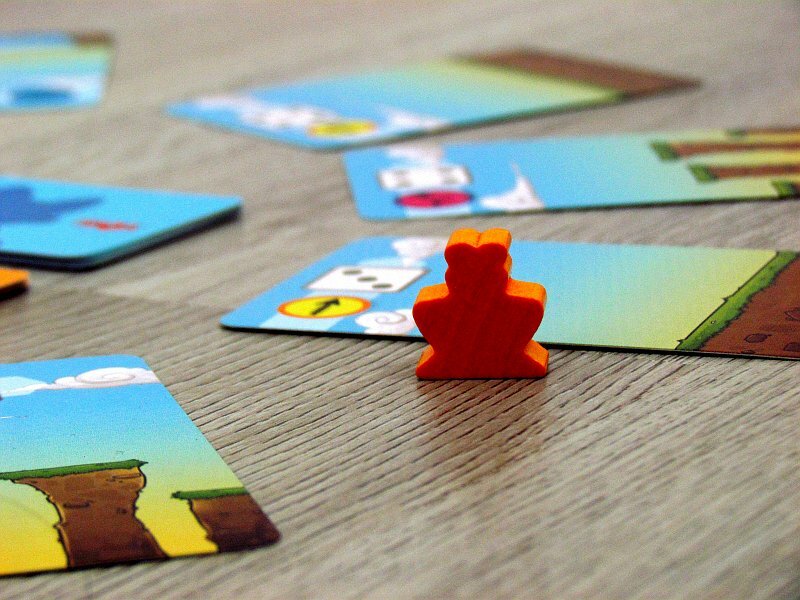 In the rules, you will also find an option for advanced players, which adds a little choices and decision making to the beginning of the game. 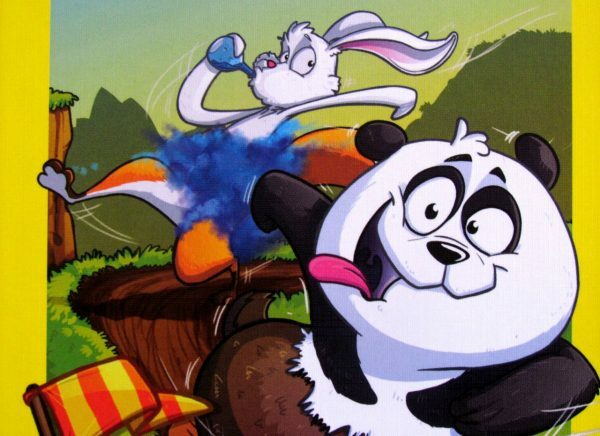 Players can create their own pet and thus try to get the best out of the race, maybe without any body swapping? But that may not be enough either. Still, its up to the player, whether he draws another body part or waits for next turn. The game is, of course, very nicely processed. It contains beautiful illustrations. Individual races are really fast. While competitors often can not move forward, they still have no trouble playing until the end within fifteen minutes. And because the rivals do not affect each other, it does not matter how much of them will participate in the race. Mix-Max Rallye is a racing game for the smallest gamers, bringing to the main role animals and luck. 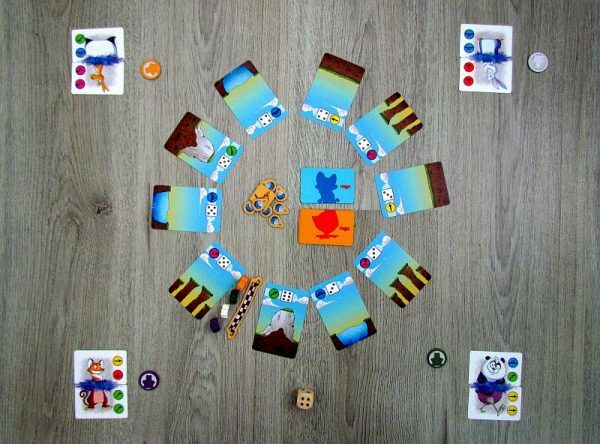 Together, they create a fun mix, that opens the world of counting to children and makes them entertained. 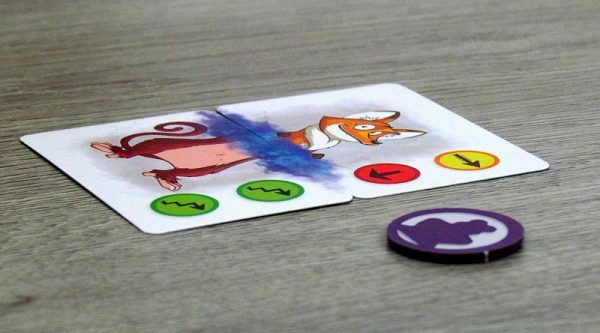 In addition, the game does not last long, so the Mix-Max Rally is a favorite and crazy animal mixing game.